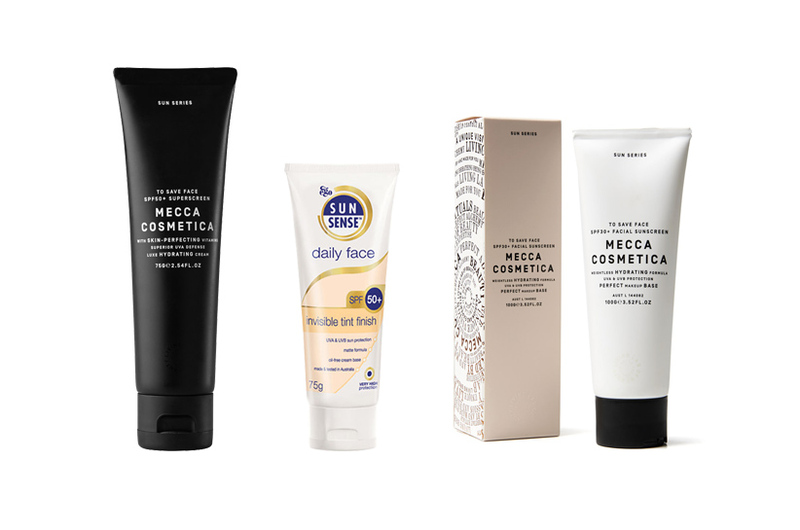 LOOKING FOR A NEW SUNSCREEN? Premature ageing and sun damage can be repaired with the right products, but these efforts need to be protected if you want them to last. 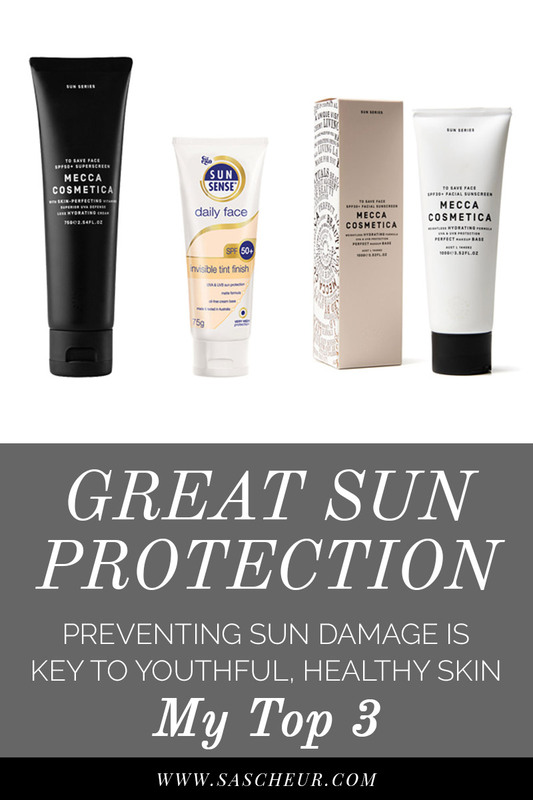 Better still, prevent them in the first place by using a broad spectrum, high SPF sunscreen daily and reap the benefits of healthy, beautiful skin for life. I’ve been using sunscreen religiously since I turned 21. I remember one of my close friends being surprised when I told her that I wore it daily, and at the time I felt like a bit of a square for being so vigilant about sun protection. Now that I’m on the other side of 25 (I’ll be 28 in June), I’m glad that I took the time each morning to add that extra step between skincare and make-up. These days, rather than being mocked for being so fair next to my bronzed babes, they are commenting that they wished they’d been sun savvy as they’re noticing freckles, pigmentation and crows feet. Obviously, unless I had only applied sunscreen to half my body and left the other side as a control, I can’t tell for certain whether I would look better or worse had I not slip, slop, slapped for the better half of my twenties. But you can read scientific research showing that sun protection prevents skin ageing here. QUESTION: If your moisturiser has SPF in it, do you need to apply a separate product? Personally, I ignore the SPF in any product that isn’t sunscreen. Usually my skincare products don’t contain it anyway, because they are specialised creams that focus on doing their job. But you need to use ½ teaspoon of sunscreen to get the SPF listed on the label, which means that if you aren’t using the same amount of moisturiser on your skin (I’m not!) then you aren’t getting the SPF coverage. 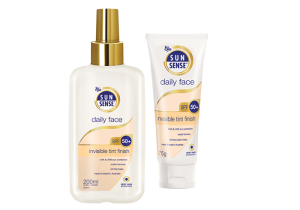 A great basic face sunscreen with a high, broad spectrum protection against both UVA and UVB rays. 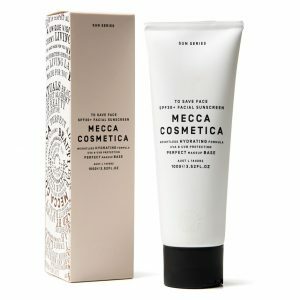 It has that lovely sunscreen scent that reminds me of swimming in a giraffe-shaped donut when I was a child, and wears well under makeup. The SPF50+ is the big draw card for me but the fact that it doesn’t leave any white residue and it’s actually lovely peach tint (that doesn’t really show up on your skin) makes it a big winner. 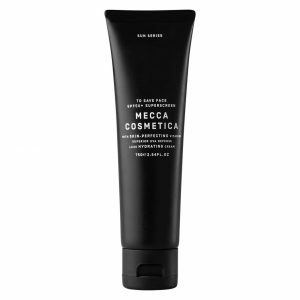 Economical in both size and price, I like the level of sun protection and the finish of this tinted sunscreen. Don’t expect a BB cream finish – this ‘tint’ is barely there and looks incredibly natural on my fair olive skin. It also seems to be quite moisturising, and under makeup gives a lovely dewy effect. Do you wear sunscreen daily? Tell me your favourite in the comments below!